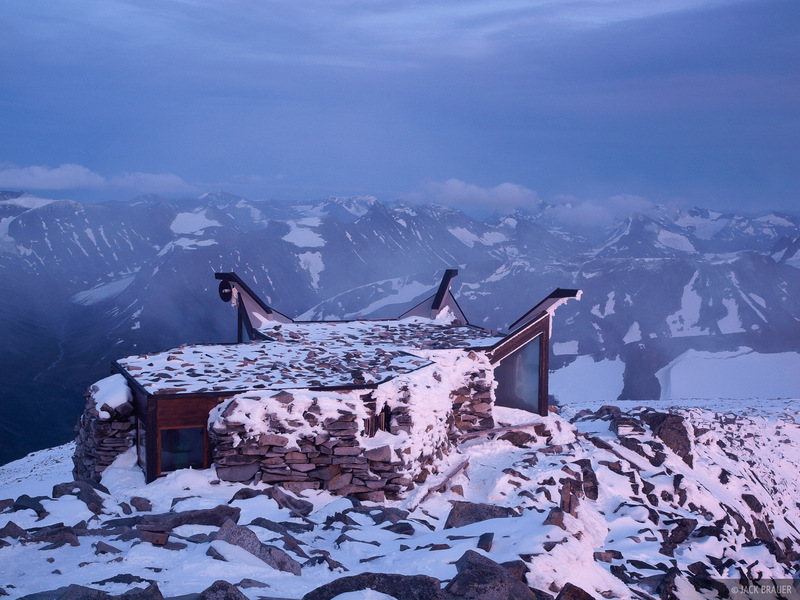 The snow-smothered summit hut of Galdhøpiggen, the tallest mountain in Norway at 2469m (8100 ft). The glaciated peaks and valleys of Jotunheimen National Park are visible in the background. Photo © copyright by Jack Brauer.